By its very nature painting is a do-it-yourself enterprise, something that someone/anyone learns to do gradually acquiring skill at it. I have been working at it for a long time and evolved a system I call pictopoiesis which means painting/picture making. Pictopoiesis inescapably involves the philosophic, in this case a synoptic philosophy in which everything is understood together. Reflecting this, the actual painting arises out of a system (pictopoiesis) involving a serial unification. These painting unifications are both destructive and constructive at the same time. The latent potential for a work to become anything identifies its negative capability and poetic freedom. This is continually lost and recreated within the potentially endless poietic (making) continuum. I have been digitally capturing paintings at various phases and evidencing the process in new forms. I go after commonality but without loss or compromise of individuality, seeking a form of solidarity through our common descent. I have never aimed to be political in the normal sense of the word but my stance orientates itself around the notion of our individual creative agency within the inescapable constraints of environment and society. To explicate pictopoiesis is a huge task but it is time to explain myself having had to be my own principle point of reference for so many years. I look forward to your response to the above and to the following exercise that seeks to create a common frame of reference between us. I am working on devising a number of simple exercises to try to clarify and begin to demonstrate some fundamental aspects of pictopoiesis with the paintings themselves as the ground on which I have developed my argument. This first exercise is an online experiment. It involves the pictorial element of line and involves the generation of a single line as a circle (approx 7 cm diameter) in very slow motion. Use a piece of everyday white A4 paper and an HB pencil. Make it a single continuous line. Note that my circle is far from perfect, imperfections are part of it and show individuality. Make sure the circle is controlled, concluding it at the exact point where it had its origin. Control should be easy if you go at least as slowly as indicated in real time on the SLOW CIRCLE video. You are the line’s living agency – you transfer yourself into it in the doing of it and without you, it could not exist as it is. 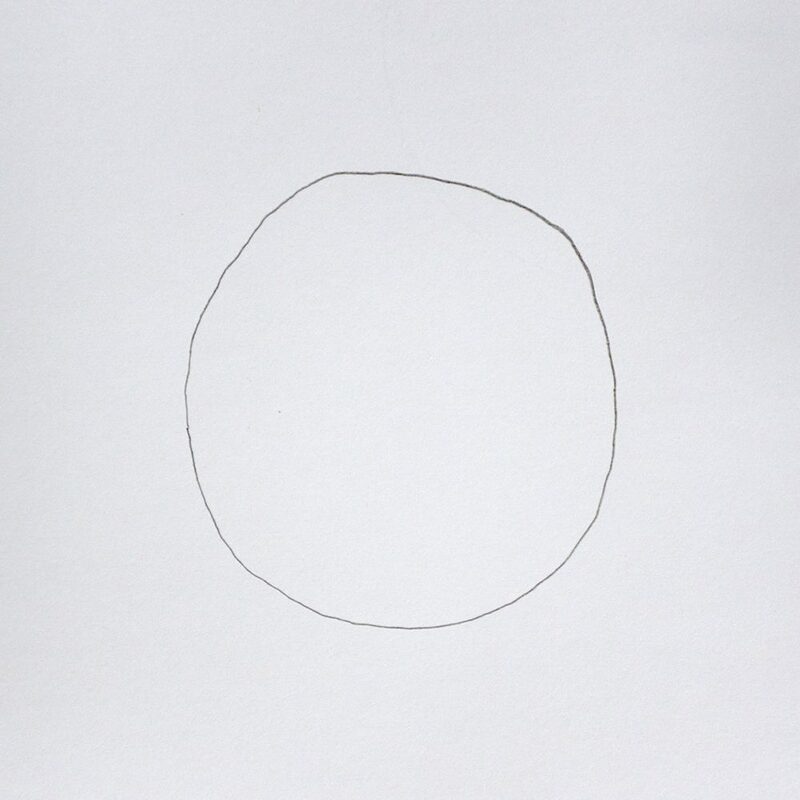 No two individually-generated circles can possibly be exactly the same, so no need to make your circle different on purpose – just trust the process. approx 2MB is ideal, or I can convert from a larger file, if easier for you. Please note: it is important to photograph your circle according to the square composition shown in the image below the video – making sure to leave a good amount of space evenly all around the circle, according to the image. This is important so that I can generate that which I have in mind using all the circles. I shall then share the result with you at the beginning of my research discussion skype session on 7th March and ask for your reflections.